BUFFALO, N.Y. -- For several years Centers Health Care, which includes Ellicott and Buffalo Centers for Rehabilitation and Nursing, has been quietly rebuilding their facilities, staff, and reputation by introducing state-of-the-art programs and systems, especially in short-term rehabilitation. That effort is continuing this summer, when both Centers will make a transformative move by introducing a new program called GO that could redefine the rehab experience in Buffalo for years to come. 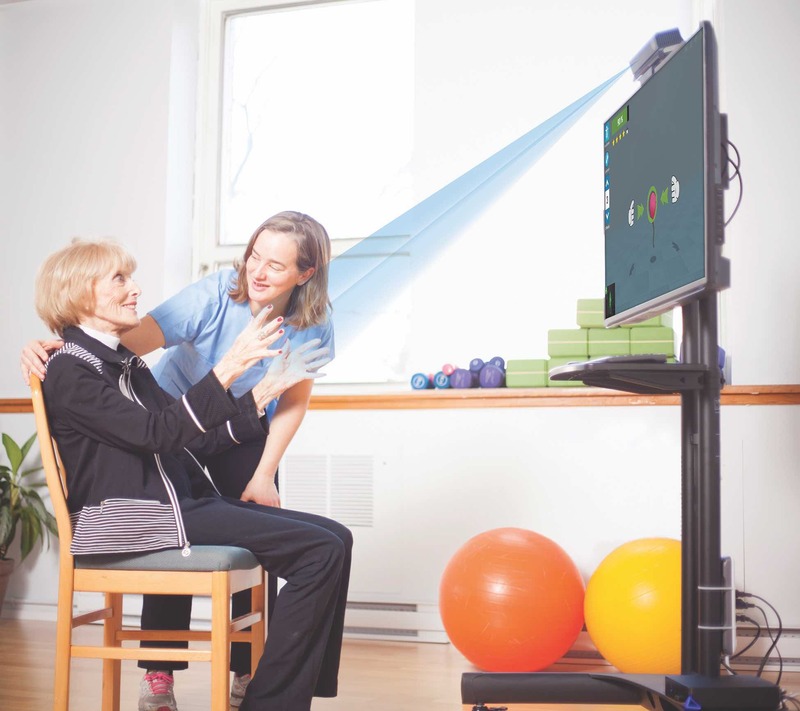 GO, which is short for Good Outcomes, is designed to make the rehab experience more contemporary, comfortable, convenient, efficient, and effective. GO units will be distinct from the rest of the facility and serve as a comfort zone, creating a team environment where the short-term residents can gain inspiration from each other's progress. Best of all, GO will be offered to patients at no additional cost to their current insurance or allowable Medicare coverage. In the GO Unit, health care and rehabilitation get equal treatment. An attending physician will be available five days per week, and a registered nurse will be available 24 hours every day. Specialists in fields like physiatry, pulmonary, and cardiology will be available to consult on individual cases. A new therapeutic gym that just opened will allow GO participants to work on state-of-the-art equipment with highly trained physical, occupational and speech therapists. A groundbreaking Jintronix biofeedback system built with computer gaming technology and multiple motion sensors has been called a medical marvel. And each facility offers the ground-breaking Jintronix bio-feedback making it possible for clients to start their rehab sooner than ever – in some cases, on the very day they arrive. Recognizing that rehab is not just about medical treatment and physical exercise, the Go program takes a holistic approach. Residents will enjoy hotel-style living in private and semi-private rooms, flat screen TVs, streaming content, top-brand coffees, a full menu of healthy, restaurant style food choices, and other amenities. Other planned features include a business center with iPads, laptops, and computer stations. Regularly scheduled events and outings will keep clients entertained and connected to the community. Above all, the GO program priority will be to speed recovery and get clients back to their homes and families as quickly as possible. Ongoing patient education and weekly individualized conferences will help hasten their process, and a fully-equipped ADL (Activities of Daily Living) suite will prepare patients for a successful return to daily living. To ensure each patient's success, the GO team will schedule free follow-up appointments in the therapeutic gym to monitor each patient's progress after they have been discharged. Anything that speeds a return to full recovery and good health is good news, and the GO Program promises to lead the way in that effort, benefiting patients, hospitals, and health care providers. As to the future of rehab and recovery in the Buffalo region, GO may turn out to be just what the doctor ordered.